Nokia Lumia Smart Phones Car Aux Audio with Mic Handsfree Talk Adapter & Play Music through CAR-AUX-IN Jack. There is no setup or configuration, just plug & play. 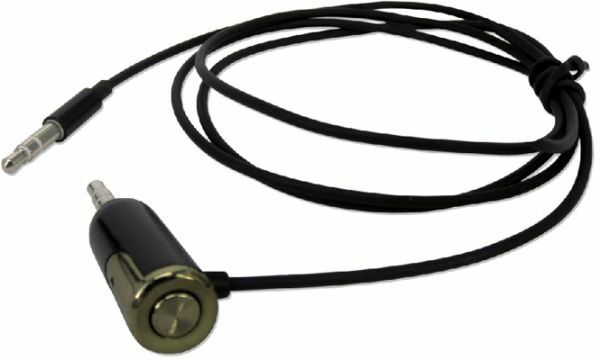 Just plug the slender Microphone 3.5mm Audio adapter to your Lumia phone and plug the 3.5mm stereo connector into your car’s AUX-IN audio jack. Then listen to your Lumia phone music through your car stereo speaker. When incoming call pauses the music, then push the button to answer call, the microphone picks up your voice loud and clear. When finishing call, just push the button again, then music will go on. With this cable adapter, you can always keep your hands free and eyes on the road.